‘Tis the season for busy social calendars – and more reasons than ever to serve or gift a great bottle of wine. 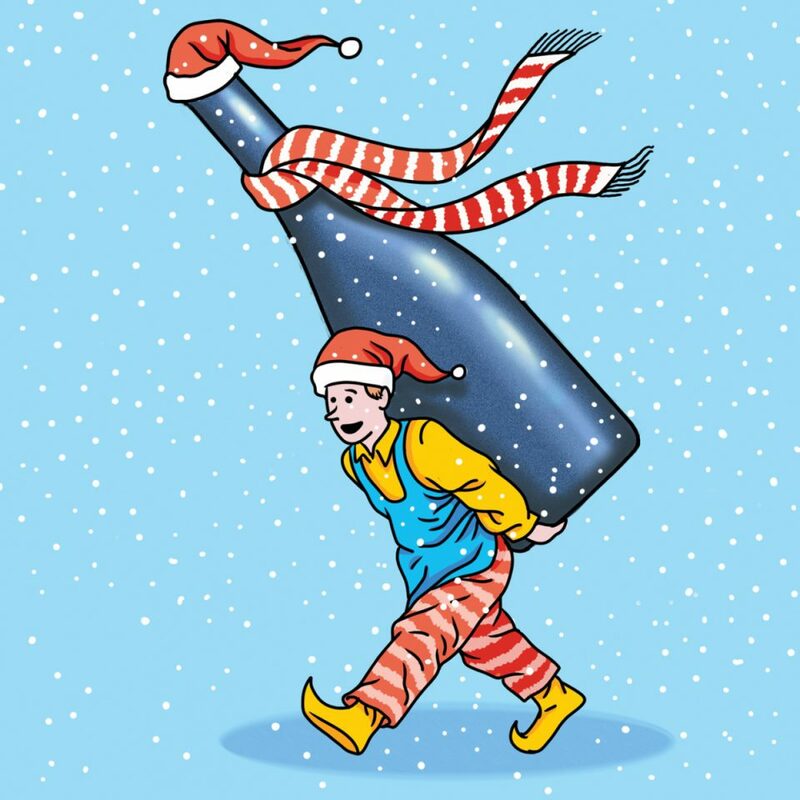 There’s no such thing as a single holiday wine. The endless abundance of festive food and functions over the holiday season – regardless of what or how you celebrate – means you need lots of options. Before you give up and just buy a case of Chardonnay, here’s what some Edmonton wine experts suggest for imbibing during the holidays. Nothing puts people in a festive mood faster than the cheery pop of a bottle of bubbly. Prosecco is undoubtedly the reigning champion of affordable and tasty sparkling wine. If their ubiquity on local wine lists isn’t proof enough of their popularity, Stephen Richmond, manager and sommelier of Vines Wine Merchants, has a story that’ll convince you. For a different and even more festive spin, try a sparkling red wine. Not many people have tried one before and they are often surprisingly dry and savoury as opposed to the soda-pop sweetness you might expect. Lambrusco from Italy is one of the easiest sparkling reds to source. It ranges from dry to sweet, with the best ones in the former category. You can also find sparkling reds from Australia, Portugal and the United States. They’re cloudy, funky and they’ve got the wine industry in an uproar. If you’re looking for something unusual to serve your holiday guests, check out natural wine. Unlike conventional wines, which make up about 99 per cent of the market, natural wines don’t have any additives, filtering or any other alterations that are part of the usual winemaking process. As a result, these wines taste very different than the norm. They’re often cloudy, lower in alcohol, bracingly acidic and bursting with intriguing earthy, spicy and floral flavours. “Many people care deeply about where their meat and produce come from, but they completely overlook their wine,” says Erik Mercier, owner of Juice Imports. Dropping a couple hundred bucks should net you an impressive bottle of wine, but there’s no need to spend that much for something good. Yes, there’s definitely a minimum price threshold, but it’s less than you think; if you choose carefully, you can find impressive bottles starting around the $35 mark. Go up to $50 and there are tons of options. The same applies to Portugal too; older vintages are fairly easy to find from there, for a fraction of what you’d pay for the same age on a Bordeaux or Burgundy. Avoid big name brands from the United States, Australia and Europe – you’re paying for the name on the label rather than the wine inside. Choosing a food-friendly wine during the holidays is made even more complicated by the sheer variety of foods that we eat within a short period of time – or even during the same meal. Accordingly, he suggests avoiding the “heavy hitters” – wines that are fruit bombs and/or high in alcohol, like Australian Shiraz or California Zinfandel. Instead, opt for something with bright acidity and freshness. For those who have to have a red, Tamm suggests a European Pinot Noir from Burgundy or southern Germany, or one from Oregon or New Zealand.